Scott Hanna is Principal / Senior Environmental Advisor of Roberschan Environmental based out of Brisbane, Australia, a role he assumed after retiring from a 34 year career with Hatch Ltd. Until his retirement from Hatch, Scott was Director Australia-Asia, and before this, Director North America, for Hatch's Environmental Services Group. As a senior environmental advisor, Scott has been responsible for providing strategic direction and management on projects requiring environmental and social impact assessments; environmental permits, approvals and licenses; sustainable design in development; community stakeholder and indigenous peoples consultation; and climate-change strategies. Scott is a Senior Environmental Specialist with over 40 years experience in environmental and socioeconomic due diligence assessment, environmental and social impact assessment, natural resource and environmental management, regulatory management, strategic planning, and environmental auditing and training, in the transportation, energy and mining sectors. He has provided senior level environmental advisory services to various levels of government, as well as to the World Bank, Asian Development Bank, and European Bank for Reconstruction and Development, and environmental and regulatory management advice to private sector developers. Scott has completed environmental assignments in Albania, Australia, Azerbaijan, Bosnia Herzegovina, Canada, China, Estonia, Ghana, Indonesia, Kyrgyzstan, Laos PDR, Nepal, Pakistan, Russia, Samoa, Solomon Islands and Zambia. 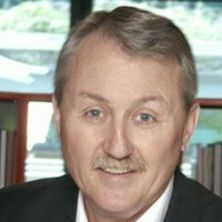 He is a qualified ISO9001 and ISO14001 Lead Auditor, former Chair of the Transportation Association of Canada's (TAC) Environment Council, former member of TAC's Education and Human Resources Development Council, and a former Adjunct Professor in Simon Fraser University's School of Resource and Environmental Management. He has a bachelor of science degree in biology (ecology) from the University of Victoria (Canada), and a master of natural resource and environmental management degree from Simon Fraser University (Canada). He is also a Registered Professional Biologist (British Columbia), Professional Biologist (Alberta), certified Environmental Professional (Canada), member of the Environment Institute of Australia and New Zealand and a Certified Environmental Practitioner (Impact Assessment Specialist). Scott joins the University of Queensland as an Adjunct Professor in joint collaboration with the School of Earth and Environmental Sciences, and the School of Business. Prior to striking out on his own in mid-2015 as Principal of Roberschan Environmental, Scott was Director Australia-Asia Region for Hatch Pty. Ltd.'s Environmental Services Group, for which he was responsible for providing strategic direction on Hatch's environmental, social, sustainability and carbon management practices within the region. Prior to this, Scott held the position of North American Regional Director of Hatch's Environmental Services Group. Scott's primary research focus is in the areas of environmental and social safeguard assessments, due diligence assessments, environmental and social impact assessments, natural resource and environmental management, regulatory management, strategic planning, and environmental auditing and training for large capital projects in the energy, transportation and mining sectors.